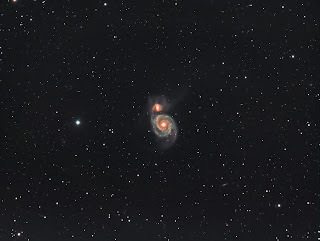 The Whirlpool Galaxy is a grand-design spiral galaxy in Canes Venatici.The companion galaxy NGC 5195 and the Whirlpool were unequivocally shown to be interacting only with the advent of radio astronomy. 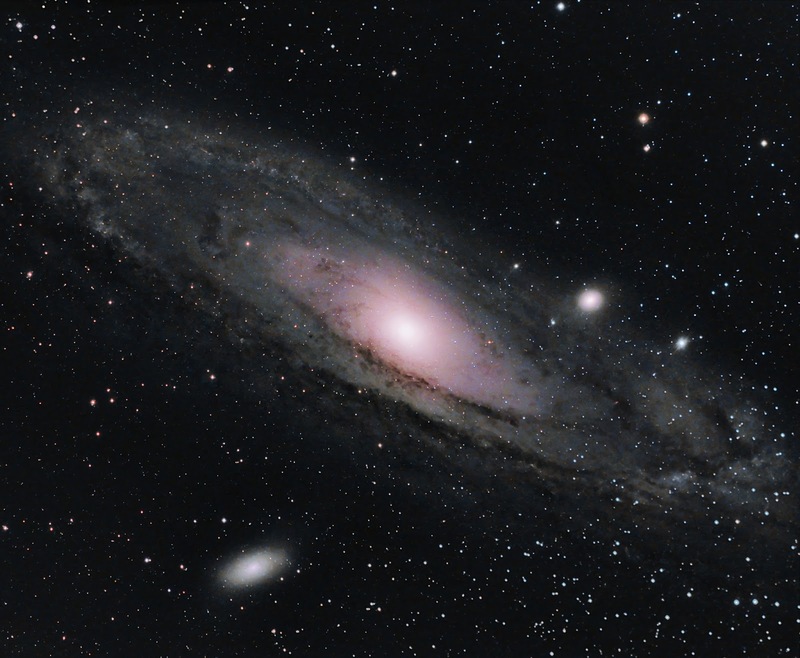 For this image I combined a photograph of M31 taken with a modified Canon 600 DSLR with one taken more recently with a SX Trius mono camera, 12x300s iso400 for the Canon and 9x300s+5x60s uv filter with the SX.The telescope was a Takahashi 106 in each instance, images acquired in Nebulosity, stacked in AstroArt and modified in PhotoShop. Combining images from two rather different cameras was made possible with Registar.Further adjustments were made in PhotoShop.